Mea Culpa. Alla Klein was a fake. 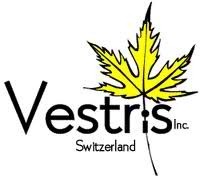 I had a software company called Vestris Inc. in late nineties, incorporated in the BVI. I was 20, had no idea what I was doing, and improvised a lot. I started with a bunch of shareware: XReplace-32 was probably the most successful. I also had a classmate collaborating on a search engine called Alkaline, which made quite a bit of money. The cash was collected from a Swiss bank in Geneva in-person. We sold in 40 countries to thousands of satisfied customers. For enterprise clients I wrote invoices and contracts out of my tiny apartment and we had a phone number, a fax and a voicemail for 24h support. The latter was run by a fake person, Alla Klein. Nobody ever saw Alla, but she was very much in charge. The following things made Alla very successful. Alla would spend a lot of time helping customers outside of crisis, earning credits that could be spent in bad times. She had a relationship with every customer, free, small or large. Alla had clear ownership of support problems. She would deal with issues, immediately and was the only point of contact and voice. Alla always got back to customers via e-mail to make sure all their issues were resolved. She was proactive in reaching out and tracked dissatisfied customers offering her time and expertise. Alla was honest in her communication. She never made promises or refer to another person in charge. She never offered apologies or excessive sympathy. She always stated hard facts. This combination made Alla our number one employee. In fact, she was regularly cited by customers that communicated with sales as one of the most competent support people that they ever had to interact with. She was also asked on a couple of dates. True story. Alla Klein: A Fake Person In Charge of Customer Support was published on November 09, 2011 . See a typo?